Surprisingly, the bots that we assume are a helping hand have a bad image – a report by the Pew Research Center reveals. 47 percent of respondents who claim that they know a lot about bots were confident that they would recognize these accounts immediately. 81 percent of the individuals surveyed claim that a moderate amount of news from social media comes from these accounts while 17 percent contradicted by saying the majority does. 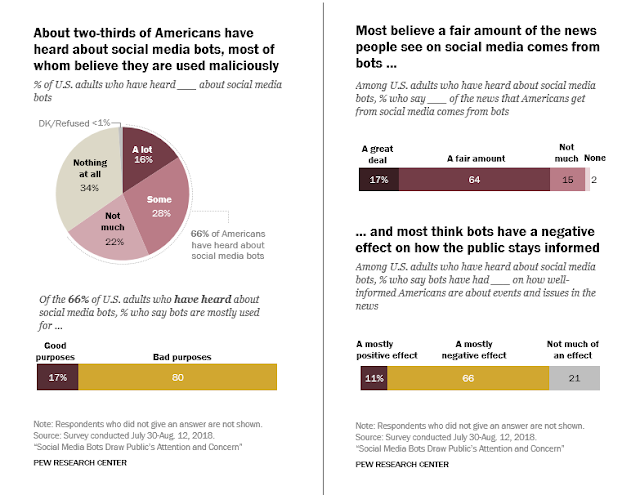 92 percent of participants were opposed to the idea of using a bot and says that they are responsible for spreading fake news. Look at the infographic below and find out what individuals really think about the bots.